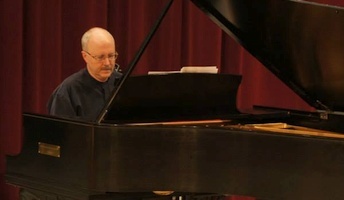 Jeffrey Chappell is the featured guest composer on the “Celebration of Great Composers” series at Salisbury University in Salisbury, Maryland. The program theme is “American Composers: Classical Meets Jazz”. Several of his works will be performed by piano students of teachers local to the Salisbury area. There are two recitals, one at 1:30 p.m. and one at 3:30 p.m.